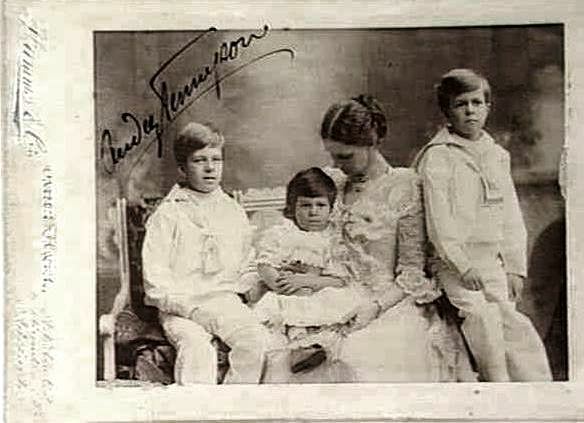 Alfred Tennyson’s son Hallam Tennyson had three sons with his wife Audrey Tennyson. The third born son was named Harold Courtenay Tennyson born on April 27, 1896 at Farringford House, Freshwater, on the Isle of Wight in England.Even though young Harold had no memory of his Poet Laureate grandfather, being born almost four years after his death, it is said that he had the same temperament and had inherited similar traits i.e. the flashing dark eyes, the molding of the brow and cheek which Thomas Woolner captured so well in his bust of Alfred Tennyson.Harold’s middle name ‘Courtenay’ comes from his mother Audrey Boyle’s side of the family along with a keen sense of determination. Both the Tennyson’s and the Boyles were Navy and Army serving families. 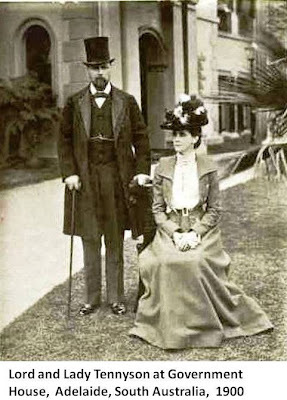 For years Hallam acted as his father’s secretary. 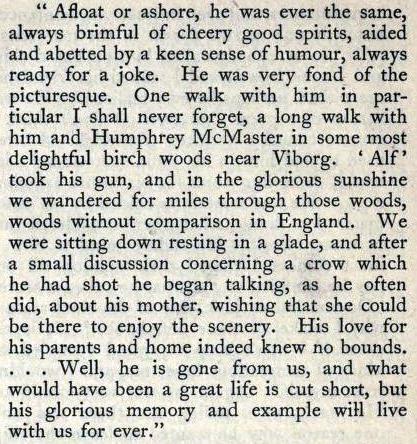 Following his father’s death and succeeding to the barony on 6 October 1892, he wrote a memoir of his poet father. Once he became the 2nd Baron Tennyson, he was prepared to accept a colonial governorship. 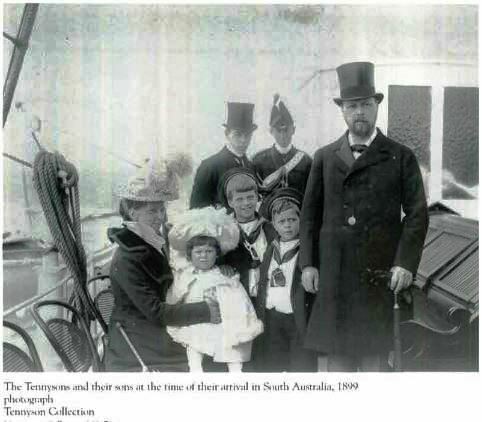 He was appointed Governor and Commander-in-Chief of South Australia in 1899. He took up office on 10 April 1899 serving through and until 17 July 1902. 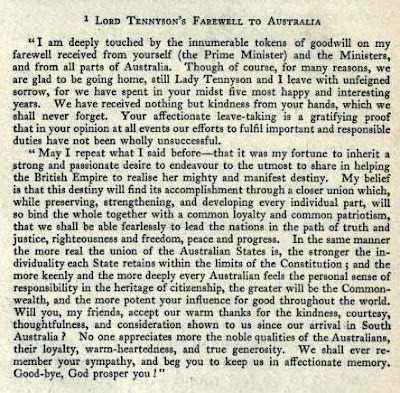 Now Lord Hallam Tennyson relinquished his position in South Australia in order to take up the appointment of Acting-Governor-General of the Commonwealth of Australia, following the resignation of the 7th Earl of Hopetoun. Lord Tennyson served as Acting-Governor-General from 17 July 1902 to 9 January 1903 and was confirmed in the appointment at a later date. He then continued to serve as Governor-General until 21 January 1904 upon his return to England. It was not until March 1903 that Lord Tennyson spoke of his readiness to serve as the Governor-General of Canada. In November 1905, he was offered the governorship of Madras. While still in South Australia, Lord Tennyson was Deputy Governor of the Isle of Wight in 1901. Alfred Aubrey, born 2 May 1891, killed in action March 1918. Harold Courtenay, born 27 April 1896, killed in action 29 January 1916. 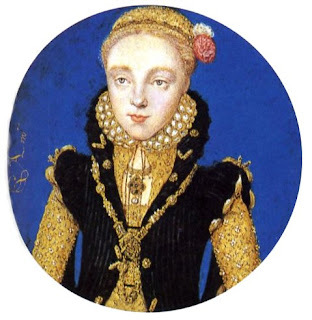 It’s interesting to note that when Hallam was a little boy, his mother Lady Emily Tennyson, would act as secretary to Alfred Tennyson’s affairs as well. I’m sure Hallam was much aware of this by the time he was a grown man, having helped his mother organize and publish Alfred Tennyson’s works soon after his death. However, it may have been the custom of the day for wives of important men. I can’t help but see so many parallels within the lifestyle of Hallam and his wife and how he emulated his parent’s loving and caring relationship. 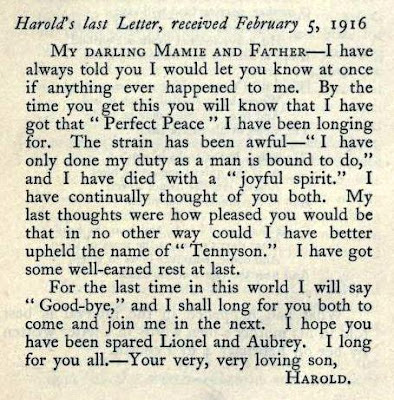 It is more than obvious how much Alfred Tennyson and his wife Emily adored their boys Lionel and Hallam Tennyson while growing up on the Isle of Wight at Farringford. 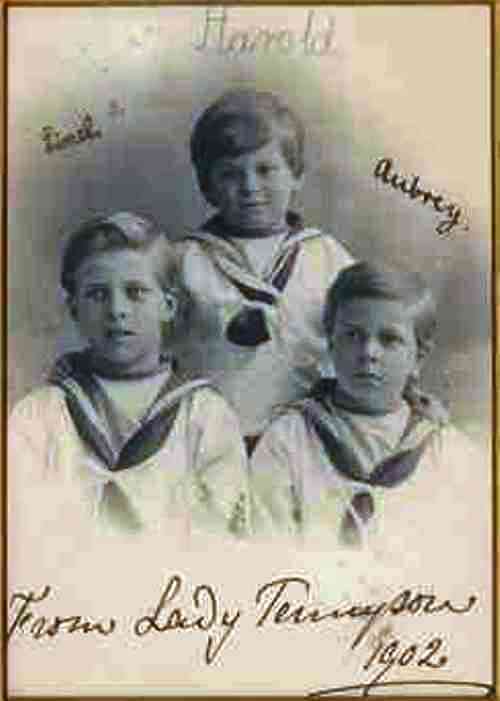 Hallam and Audrey obviously took great pains to make sure their boys had all the love in the world. It’s just a shame that only the first born grandson, Lionel, was born during Alfred and Emily’s lifetime. For it would be Hallam’s brother Lionel whose boys were born early enough for Alfred and Emily Tennyson to enjoy becoming grandparents. Be it sister or brother. Home, home, home is best! In 1911, at the age of fifteen, he attended Dartmouth where he won the English Literature Prize where according to the examiner Harold had, ‘more mind and knowledge of life than any of the other candidates.’ He left Dartmouth in 1913 at the age of seventeen but his Naval training gave him a remarkable sense of self with strength of character and a very marked dignity, according to friends. 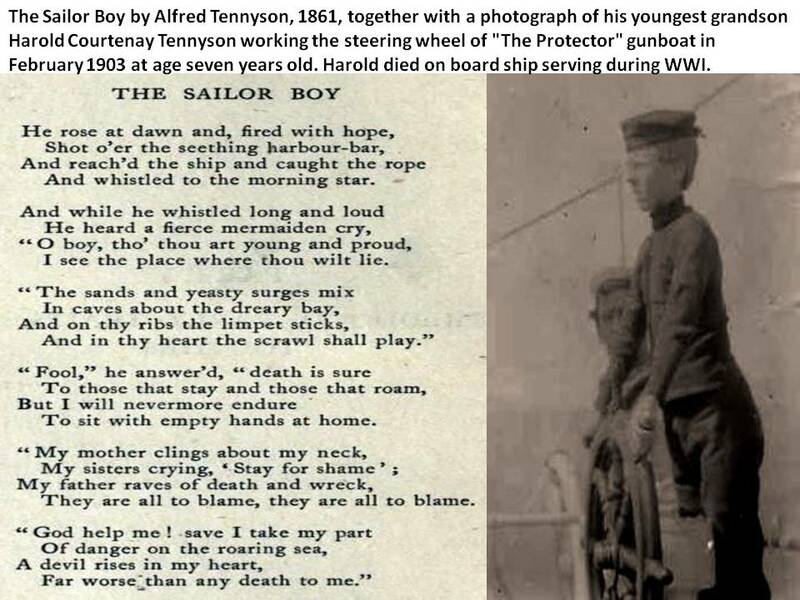 It is interesting to note that Harold Tennyson’s motto during his teenaged Navy years was a few lines from his grandfather’s poem Will by Alfred Lord Tennyson, ‘O well for him whose will is strong! He suffers, but he will not suffer long; He suffers, but he cannot suffer wrong.’ He may not have met his famous grandfather during his lifetime but all five Tennyson grandchildren definitely knew about their grandfather. ‘My darling Mamie-I am writing this on our way to Teneriffe, so that I can post it there. We shall get no mails there, as they have been sent to St. Lucia, so I shall not hear from you for months. I am simply loving every minute of my time on board, although we get no spare time at all. We have just come through, so to speak, the jaws of death. The weather got steadily rougher, and on Monday night from 4 p.m. till 7 p.m. I believe we were in considerable danger. I was hanging on for dear life on the boat dock, the ship simply diving and rolling in the most awful manner, and seas breaking right over her, when suddenly a terrific green sea struck her and carried away a lot of gear. The Captain flew alone up to the bridge, and we altered course at once so as to get head to it. It really was the most appalling time I have ever been through, and you can’t imagine what it feels like to be in a great ship that is rolling gunwale under. A few minutes later a signalman came down from the bridge on his way to the wireless room. It was apparently the most terrific gale he had ever seen. I thought to myself, Lionel complained about being wet on manoeuvres this last time, and here we had water up to our knees for three days in every part of the ship. We got out of the gale about 70 miles from Finisterre due W. at midnight on Monday. On Tuesday it was calm, but with a tremendous swell. Anyhow, we started doing duty after 9 o’clock. Please give my fondest love to father, and tell him my next letter will be to him. I have lots of episodes, etc., to tell you which I have logged in my diary. Everything is down in it, even when a delightful goat, the ship’s pet, falls down the ash-hoist and a seaman had his trousers pulled right off by a green sea.-Ever your very loving son, Harold.’ HMS Cumberland, Special Services, Tuesday, February 4. Being in the Navy certainly gave young Harold a golden opportunity to travel the world. 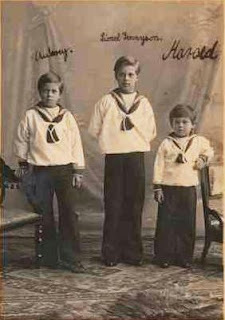 According to his extensive diary and letters home, he travelled to Havana to Bermuda, Halifax, Toronto, Quebec, Niagara, and finally docking in Plymouth Sound. 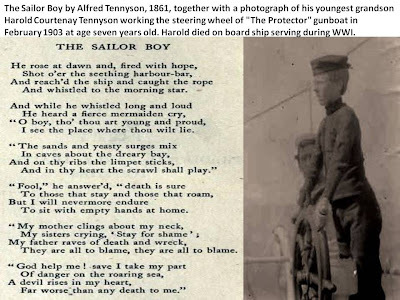 Harold Tennyson’s so very young life story really reads more of a sea journey at war story; a young man serving his country, seeking adventure, life experience, seeking knowledge at every turn, yet never knowing what the future holds or where he will be next. He rarely saw his parents and brothers except when re-reading their letters bringing them ever nearer to him in his heart and mind. Young Harold would never know love, or fall in love or marry and have a family of his own. It is a sad tale but it takes great strength and even greater courage to serve the call of your country. 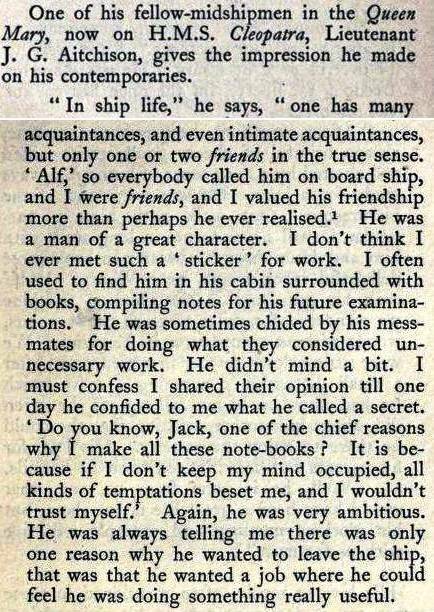 His various letters, written on board ship, shed great light on what it must have been like to live for months and years at sea at such a young age with only other men as company. What happens reading through various letters is that you get the feeling that you are meeting a teenager, a young boy not quite fully a man but a person who loves being at sea, a person who is proud of his choice in life and someone who is exactly where he wants to be. Oh and that Tennysonian spirit, intellect and humour shines through. It saddens me greatly to realize that within two years, Audrey and Hallam Tennyson would lose two of their sons to war. 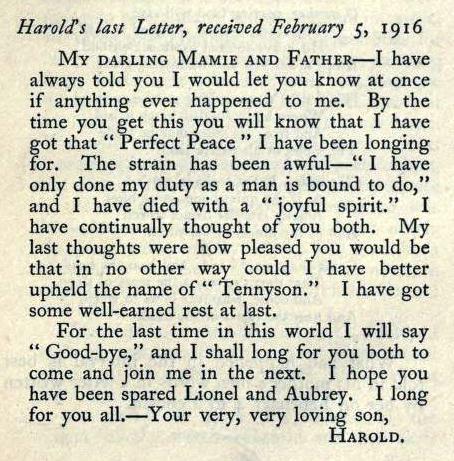 Yes, it seems that two years later, on 23rd March, 1918, 26 year old Alfred Aubrey Tennyson was killed in action serving with the 4th Battalion Rifle Brigade in France. He was a Captain. 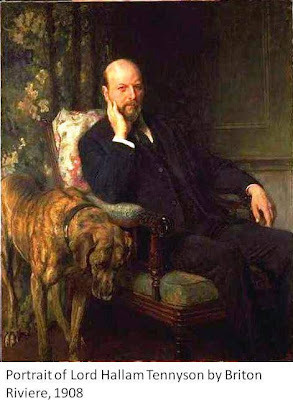 Eldest born Lionel Hallam Tennyson lived a long life playing cricket for Hampshire and England in his youth before succeeding to the title of 3rd Baron Tennyson. He married and divorced also having three sons. He died in 1951, age 61, at Bexhill-on-Sea, East Essex. 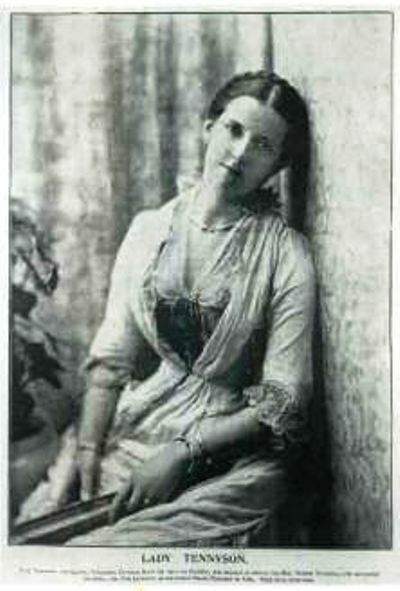 Letters of Audrey, Lady Tennyson, Papers of Audrey, Lady Tennyson, National Library of Australia (MS479/49). Harold Tennyson, R.N., The Story of a Young Sailor Put Together by a Friend, Macmillan and Co., London, 1919. What a fascinating piece. 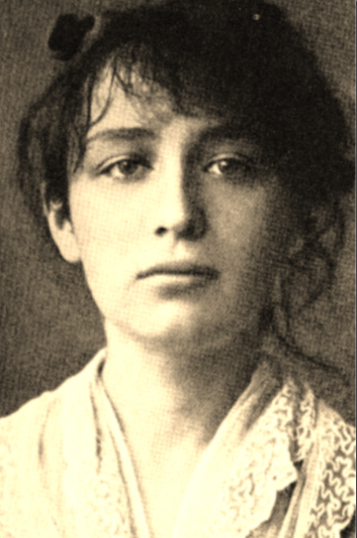 I learned so much about Tennyson's grandchildren. I loved researching and discovering so much about Hallam and his family. I'm so glad you both found it fascinating reading. I sure did! Thanks so much for stopping by and commenting. Just fabulous missing pieces of the story. Thanks a lot. I am so glad you found my article and enjoyed it so much! Don't you just love those missing pieces ;) Thank you so much for commenting. I hope you're doing well. Don't worry, I understand your perspective. I read about that English cricket captain. What a shame! Interesting and sad about Sir Charles Tennyson as well. I am so glad you stopped by and hope you had a great new year! Hi Kimberley, it occurs to me that if you get time, Sir Charles might be an interesting subject for a blog post. He was Tennyson's eldest grandson, about 13 when Tennyson died and had a very long life. I think he would have been the last surviving link with Tennyson ie someone who knew him personally. Hope you had a nice New Year yourself. I must catch up on your recent posts as well! Your timing is perfect! I just bought a book I believe is authored by that same Sir Charles Tennyson! 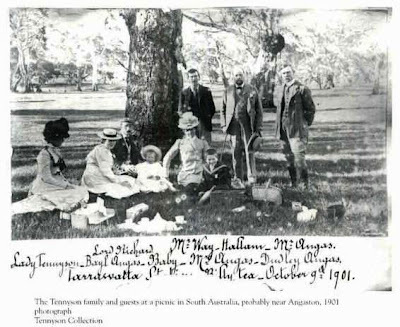 Hopefully, some interesting Tennyson Family information to share here! Kimberley. I have recently acquired a 1935 edition of The Seven Pillars of Wisdom by TE Lawrence. On the inside page is a dedication to Harold Courtney Tennyson. I was wondering if you were interested in this? Please let me know. Christopher. Thank you so much for letting me know about the TE Lawrence book with that dedication. I appreciate it so much. I don't really have a PO box for shipping or mailing goods to me. I don't give out my home address, so regretfully will have to pass on your generous offer.